I have heard a great deal of good things on the Real Techniques brushes, and I managed to get a few of them some time back. I was very excited to try out the brushes and they are indeed very good brushes! 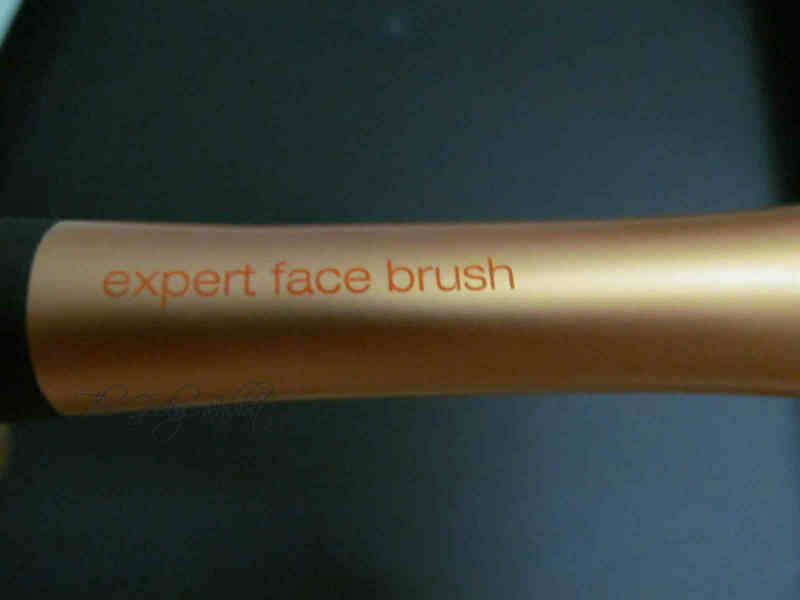 I have several of the face and eye brushes, but the one that struck me most is the Expert Face Brush (leftmost in the photo above). The Powder Brush and the Setting Brush (Middle and right as above) are also great face brushes. Above: a look at the back of the plastic casing. 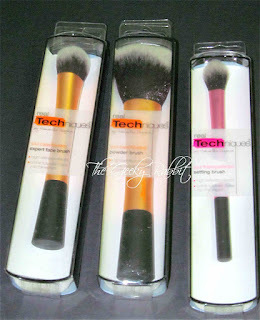 The brushes are developed by YouTube beauty guru Samantha Chapman. Below: Even the brush ferrule has her name! Love the sleek bronze ferrule. The brush is made of synthetic taklon, as stated in the description. On the box, it says that it is for foundation (cream/liquid) but I actually use this to apply cc cream and bb cream as well! Works wonders, and gives an absolutely flawless finish. 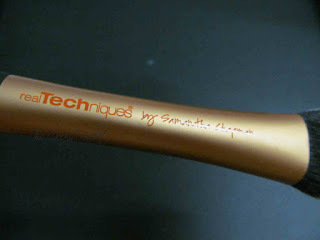 The reverse side (above) has the name of the brush printed on it, which is awesome! Easy to spot the brush and organize them. 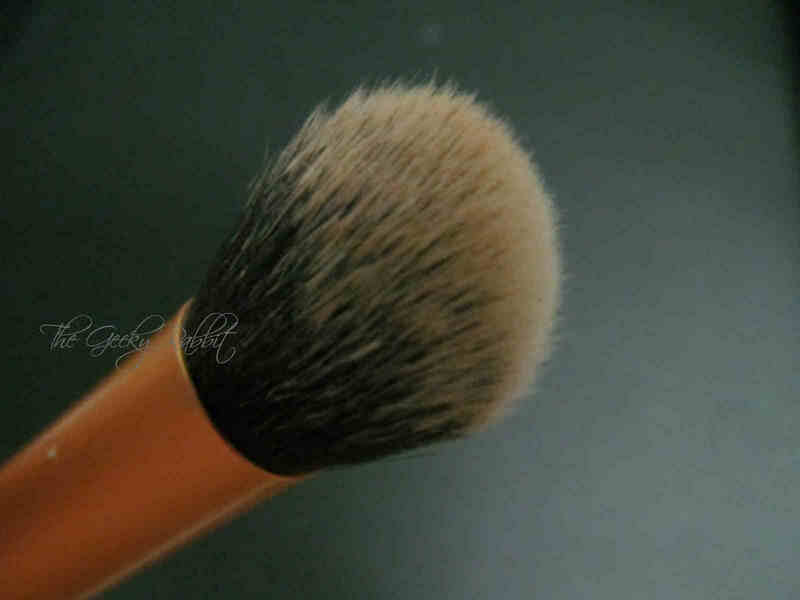 The bristles are really dense, and the photo below shows how the brush looks like after I have used it to pick up some liquid foundation. 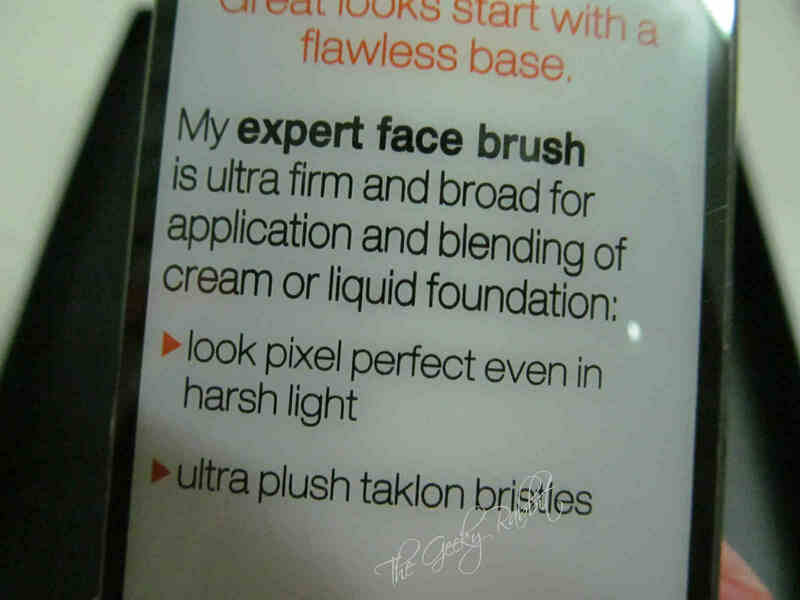 It doesn't pick up excessive product, and the bristles do not clump together. 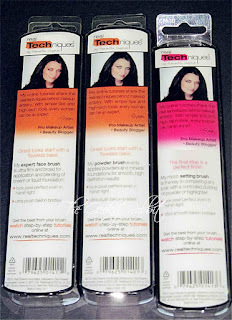 This is great for an even application of the cream/liquid onto the skin. Another thing that I noticed of the Expert Face Brush is that it dries real quickly after a wash! I tend to wash my face brushes pretty often, so this is something great. My only qualm with the brush is that the base of the handle has a layer of rubber (that's the black part at the end of the handle). 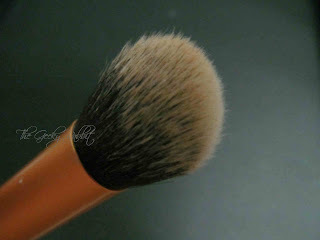 It can pick up a lot of grime and powder, especially when kept in a pouch with other eye brushes or powder brushes, so that is something that I find troublesome. The handles need to be wiped quite often. If it's kept in a brush holder or otherwise, it should not pose as such a hassle. 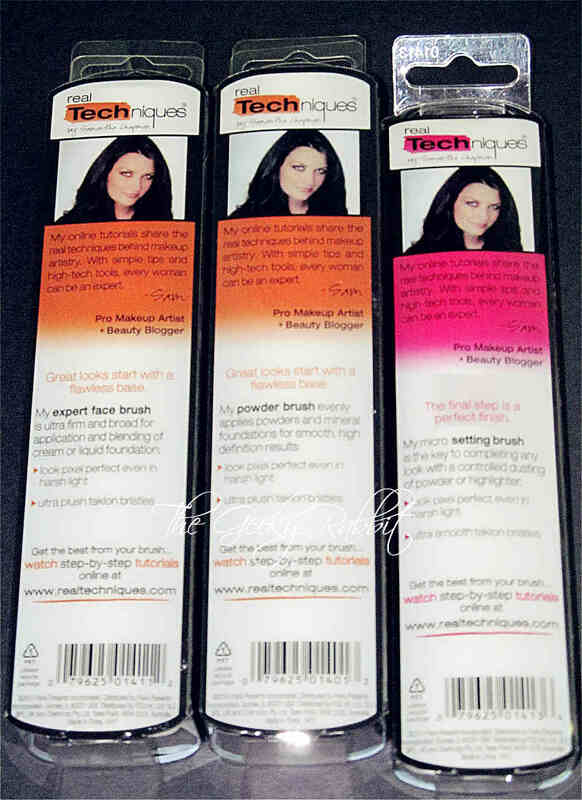 Real Techniques brushes are not available in stores in Singapore, but they can be ordered from Amazon readily (and now with the free shipping above SGD125!). The price is reasonable. 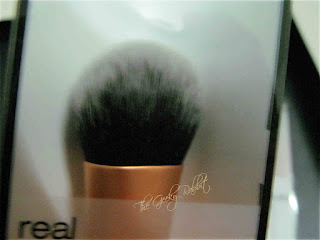 For the excellent quality, the brush is really worth a shot. It may not work for everyone, but so far I've not seen any negative reviews about the brush. I have been using it regularly for quite a few weeks on end and it has not shed, so it should be able to hold up. 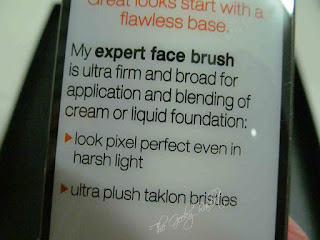 I probably won't review the other brushes for now, as I feel that the Expert Face Brush is the one that's most outstanding among the collection. A pretty unique brush I must say, for I haven't chanced upon something similar. Definitely a great buy for me and I am very happy with it!